The Flash Report gives users a consolidated report that provides several key metrics for each of their Locations, including Sales, Labor Costs, Discounts and Comps. The Flash Report is located in the 'Op Analysis' section of 'My Reports', and is titled 'Flash Report'. 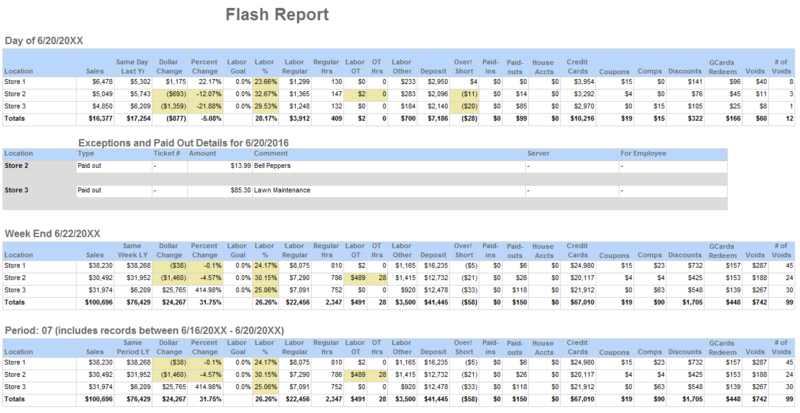 Similarly to all reports located in 'My Reports', the 'Flash Report' can be ran manually.